A large portion of Content Marketing is promoting your brand to increase traffic. New digital developments and technologies have made the generation of Millennials harder to reach; unless you are meeting them where they are. TV commercials, billboard ads, and radio skits just aren’t going to cut it anymore. When your target audience is a generation that is always plugged in, your brand needs to adopt digital marketing strategies that will get you in front of your audience. The following are the top 10 reasons why your brand will benefit from social media marketing. Every opportunity you have to increase your brand’s visibility to your audience is valuable. Social media channels are another opportunity to share your brand’s voice, message, and content. While social media allows you to promote your brand, it also increases your visibility to new, potential consumers. For example, a new consumer may never have heard of your brand until they noticed a piece of content that was shared by one of their friends on social media. This strategy increases your opportunities to reach an audience that may not even know you exist. Statistics show that a consumer that has the ability to engage with a brand is more loyal than brands that do not engage with their audiences. Sharing a conversation with a brand that you love is a memorable experience for a consumer, and increases the chances that they will continue to offer you their business in the future. Every post, tweet, pin, or image is another opportunity for your brand to increase your sales. As you build a following on social media, you have access to new and old customers, as well as an opportunity to interact with them. Every piece of content you share is another opportunity for your audience to click back to your site, and potentially make a purchase. And as your content gets shared and liked among your followers, you also become more visible to a broader audience through your own already established audience. The potential to grow and build your social media presence is never ending. 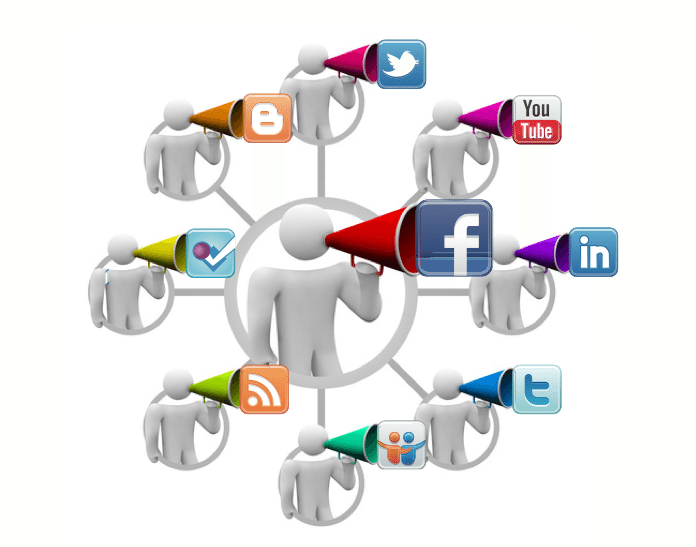 As stated above, using social media marketing strategies give your brand more opportunities to reach a larger audience. As your audience grows, your chances of converting your followers into customers also increase. Studies show that as your brand’s following increases, and consumer have more loyalty, then your conversion rate should also increase. As you engage with you audience, you will get more followers talking, sharing, and interacting with your brand and your content. As this information is shared, you are also increasing your authority as a unique and valuable company that people trust. Also, as more traffic and volume starts to circulate around your social media profiles, your audience will rapidly start to increase. Consumers trust the word of their peers, so as your loyalty builds, so will your audience as more consumers begin to respect your brand and your message. Social media is a user-friendly strategy to promote your brand. Every social profile and platform is another opportunity for consumers to interact, engage, and send traffic back to your website. The more high-quality content you post on your social media channels, the more inbound traffic you will see going directly back to your website. Overall, more traffic equals more leads and conversions, and ultimately more sales for your company. Although advertising on Facebook, Twitter, and Pinterest is not cheap, it is not as expensive as other methods of advertising, such as TV commercials or radio ads. Even if you are not interested in advertising on social media, it is still a valuable tool to use just to be able to engage with your audience. Social media is a free tool for brands and users to post content that is interesting, relevant, and valuable. Outdated SEO strategies do not credit social media for its influence on organic traffic and search engine rankings. Simply optimizing title tags, web content, and meta descriptions is no longer enough to secure your top ranking positions on Google, Bing, or Yahoo. As we stated above, social media increases your brand’s authority with your audience, but it doubles as increasing your brand’s authority for the search engines. Being active on social media acts as a signal to search engines that your brand is active, interesting, and relevant to users. It is almost mandatory in the digital age to participate on social media if your goal is to rank well for a specific set of keywords. Without social media, you could be hurting your SEO rankings, which leads to a decrease in sales, traffic, and conversions. The number one goal of social media is to decrease the gap between consumers and businesses. If a consumer gives your brand or product a poor review on social media, then you have the option to immediately address and rectify their experience. Enriching a customer’s experience is another way to establish brand loyalty among your consumers. When they have a good experience and a positive interaction with you, they will spread the word to their friends and share their experiences with others. The more positive experiences surrounding your brand will have a direct impact on your credibility as a brand that people care about and will continue to interact with in the future. Most social media channels provide its own analytics that will provide insights on who your audience is, what is trending, and what is catching their attention. These types of interests are valuable for marketing purposes, and it saves you time and money by not having to research to find out who your target audience is and how to reach them. These are just some of the benefits that social media offers for your brand. If you still think that your company or your industry wouldn’t apply in the realm of social media, just remember that your competition is already ahead of you. 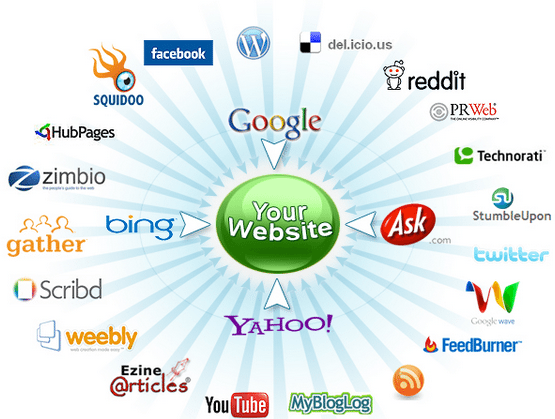 They are the ones who are building their following, increasing their traffic, and creating more conversions. The sooner you begin building relationships with your audience, the sooner you will begin to reap the benefits of social media marketing and increasing your brand’s reputation among your consumers. The days are gone of when businesses can blend into the background. The digital age has spawned the idea that people do business with people. Your consumers want to know your values, your interests, and want to know who you are behind your brand. Creating interesting content and sharing it among the masses is the way to stand out from your competition. Now get out there, be social, and start making a name for yourself across the various social media platforms.